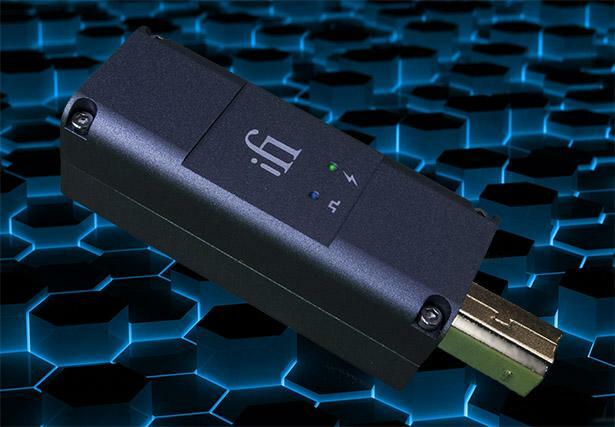 I have a lot of respect for the iFi products, based on my previous reviews, so when I was offered the chance to test out some of their more recent offerings, I jumped at the chance. The first of those products is the iPurifier2, an accessory to enhance the digital signal and power supply coming from a computer to a USB DAC or converter (USB to SPDIF for use with a separate DAC). My first impressions of the iPurifier2 were favourable. Like all iFi offerings, it comes nicely packaged, both in terms of aesthetics, and protection, as you can see from the pictures. Sliding the inner carton from the sleeve, I found the iPurifier2, a USB adapter, and the warranty card. The instructions are printed on the sleeve, and there is an on-line manual should you feel the need for one. There really isn't too much to setting up the iPurifier2, it simply plugs in between the USB cable coming from the computer, and the USB DAC (or converter), and it is ready to use. There are no drivers to install, and no adjustments to make. But before I report on how it sounds, let's take a brief look at what it is, and what is does. The iPurifier2 is designed to perform three functions that should, in theory, improve the sound quality of a system using a USB DAC or converter. The object is to optimize the digital signal entering the DAC, and the quality of the power supply. Those three functions are to remove any noise from the signal (and 5 volt power supply), to regenerate it, and to rebalance it. I must admit at my advanced stage of life, keeping up with all the latest developments in digital technology is proving increasingly difficult, and while I understand the principle of reducing the noise floor, I can only tell you that the other two functions are meant to present the best possible signal to the DAC after it has been sent from the computer along the USB cable. You can read more details about all three functions of the iPurifier2 on the iFi site. By the way, the iPurifier2 can be used on its own, or as part of an even larger upgrade using it in conjunction with iFi cables and their own power supply, but in this review I will be reviewing it on its own, and with third party power supplies. iFi state that their Active Noise Cancellation© is drawn from military radar technology (deployed in the French Dassault Rafale jet fighter). I mention this because much of the Vertex AQ product range is also based on technology borrowed from developments in fighter aircraft technology. I think that we can safely assume that the budgets for research into military technology will be far in excess of anything spent on the development of hi-fi, so it is most useful when some of that technology finds its way into our hi-fi systems. It seems amazing that the iPurifier2 can do all what it does in such a tiny piece of equipment! Measuring only 62(l)x19(w)x18(h)mm, and weighing a mere 30 grams, it is constructed of aluminium rather than plastic. The overall impression of handling this item is that it is an up-market product, despite its price tag (and diminutive size). There are different versions of the iPurifier2 depending on what you need to connect it to. The review sample came with type B USB connectors (socket at one end, plug at the other), and an adapter allowing for a type A connector on the input. So whatever make of DAC, and cable, that you have, there will be a means of connecting the iPurifier2 to it. 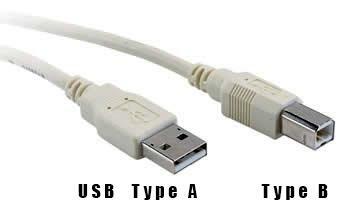 The USB connections are USB 3.0, and backwards compatible with USB 2.0. In use, there are two tiny lights to show that the iPurifier is connected to a power supply (green), and a digital signal source (blue). I am fortunate to have not one, but four systems in which I could test the iPurifier2. In the first, a laptop running Windows 8, JPlay, and Fidelizer, a standard USB cable linked it to the (original) iFi iDAC, and I used headphones to monitor the output. In that set up, the power for the iDAC was being supplied by the computer. In the second system, another laptop running Windows 10 with JStreamer, is also connected to the iDAC in the same way. The third system is a compact desktop PC connected to a M2Tech HiFace DAC via the cables supplied with the Astin Trew PSU. This uses Audiophile Linux 2, and the music is played through an amplifier and speakers. The fourth system uses an HP UCC computer (running Audiophile Linux 3) and connected to an M2 Tech Two Converter powered by a Paul Hynes SR3-5 power supply via a custom DIY USB cable supplying the signal from the computer. I was able to connect the iPurifier2 into all four systems although I needed a type B to type A USB converter on the output to connect it to the M2Tech products which have Type A USB connectors. I'm not going to report separately on all four systems because generally results were the same on all of them. There are review items that take a while to appreciate and assess fully, but the iPurifier2 is not one of them. I initially inserted it into the laptop running W8 while I was waiting for my main PC to do a backup. I was busy and couldn't really spare the time for a proper audition. But the results after inserting the iPurifier2 were so interesting that I landed up 'losing' an hour when I should have been getting on with something else. And the iPurifier2 kept my attention during the subsequent auditions! The overall impression is one of more clarity, despite my systems producing more than acceptable clarity without the iPurifier2. But it is easy to detect, from the top end to the bass, everything sounds better defined, and more focussed. The better focus is particularly noticeable with instruments like cymbals. In fact, on one track that I listened to, I realised that a tiny sound that I had always heard before, but not really thought about, was clearly finger cymbals. Guitar strings, that I thought already sounded 'clean' were even more so, and bass lines were also better defined. Castanets had more 'snap' to them, and drum kits were similarly improved. I also noted better defined space between instruments and voices. On tracks that employ Q sound effects, eg Roger Walters and Deep Forest, those effects were also better defined. Last, but not least, the whole system sounds slightly less digital. With everything in the sound stage slightly more discernible, the impression of depth was reinforced. While I may have expected such a clear improvement using the iPurifier2 where the DAC received its power from the host computer, I was surprised that I also got a definite improvement with the DACs (and converter) that had stand-alone power supplies (both very high quality). Part of that improvement reminded me of the effect of running the whole system off the excellent James Audio mains conditioner, something else that goes a long way to lowering the noise floor, and making a general improvement right across the board. That the iPurifier2 does a similar job at well under 100 UK pounds is quite amazing. It's very difficult to say which aspect of the iPurifier2 makes the most improvement, the improvement to the power supply or signal enhancement. I did try the systems using the external DAC power supplies without them, that is with the power drawn from the host computer instead, but by the time that I had made the necessary changes to everything, it was very hard to make an objective AB comparison. I think that I could draw the following (hopefully useful) conclusion though. If you own a USB DAC or converter, and it currently takes its power supply from the host computer, I would recommend the iPurifier2 as an upgrade before one of the more exotic power supplies that cost significantly more. You can always add one of the power supplies as a further upgrade as I felt that the combination of the external power supply added to the iPurifier2 gave the very best sound quality. If your USB DAC/converter already has an external power supply, you will still find a significant and worthwhile improvement by adding the iPurifier2. In short, I would have absolutely no hesitation in recommending the iFi iPurifier2 to anybody using a USB DAC or converter to supply the music signal to their hi-fi system. I still cannot decide if you will get a bigger improvement with a more basic system, ie when the power for the DAC is supplied from the computer, or from a better one, as all four of my systems responded well to the addition of this little marvel. At the price, I would suggest that this is one of the best improvements that you could make to a computer-audio based system for the money. Make sure that you buy the version with the correct connectors for your system, and you can have it up and working in seconds. Altogether, a highly impressive component that does a lot for the money!